Make your four-legged friend the newest member of the team with an officially licensed Football Lace Dog Collar from GameWear®! Each collar is handcrafted from football leather and laces, and emblazoned with the team's logo and colors. Click now! 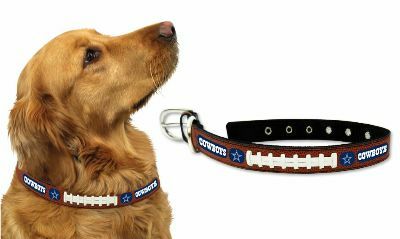 Get your pet in the game with an officially licensed NFL Team Logo Football Lace Dog Collar! 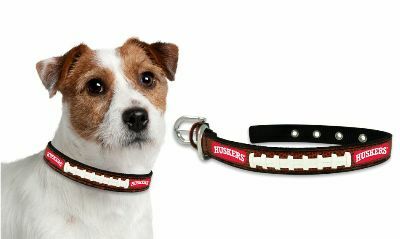 Each collar is handcrafted from football leather and laces, and emblazoned with your favorite team's logo and colors. Click to find your team!